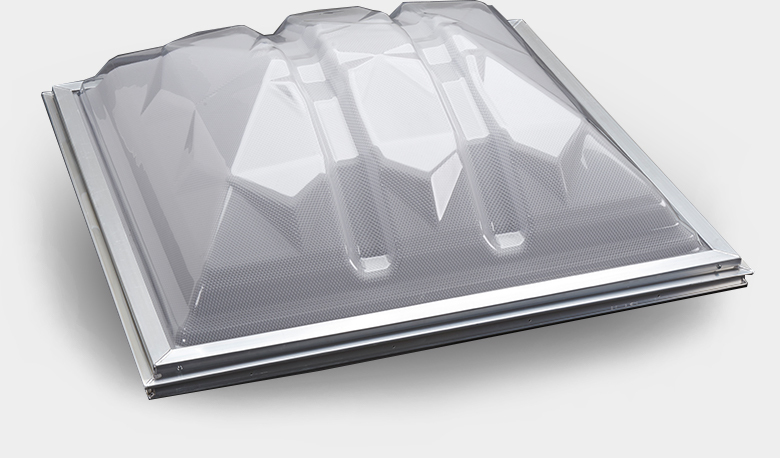 Dynamic in form and function, the VELUX Dynamic Dome commercial skylight is architecturally striking and engineered to harvest more early morning and late afternoon daylight than its competitors, allowing a buildings’ lights to remain off for nearly an extra hour per day. Featuring a smooth outer dome over a prismatic inner dome to deliver optimum light transmittance and light diffusion, the Dynamic Dome is engineered to harvest more daylight in an architecturally appealing design. Third-party testing shows that the Dynamic Dome lets in nearly an hour more daylight than its competitors. By maximizing low-angle sun performance, buildings can replace artificial light with natural light sooner and see significant long-term energy savings. Smooth outer dome provides more light than prismatic outer dome (+20%). Prismatic Inner Dome achieves 100% diffusion/haze. Repeating pattern of ridges and ribs create structural strength. Dome walls are engineered to reflect less light and increase our ability to harvest low-angle sunlight. Brawn meets brilliance with four standard glazing options, including options that protect the skylight against impact. 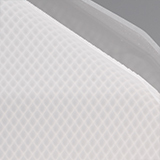 Features a 0.118 thickness polycarbonate outer dome built to withstand high-impact resistance. Increases long-term resistance to chemicals and UV exposure for reduced yellowing and weather ability. 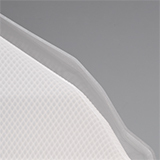 UV Guard Coextruded Polycarbonate smooth, clear outer dome and prismatic white inner dome. 15-year warranty on LuxGuard options including hail breakage up to 2” in diameter. 10 times stronger than Impact Modified Acrylic after 10 years outdoor. Featuring a 0.150 thickness polycarbonate outer dome needed to pass stringent tests for high velocity zone testing, this is the ideal option for areas requiring certification. Includes Factory Manual certification for required projects. 10 times stronger than Impact Modified Acrylic after 10 years outdoors. 100% impact modified smooth, clear outer dome is 10 times stronger than general-purpose acrylic. 50% impact modified prismatic, white inner dome is six times stronger than general-purpose acrylic. Smooth, clear acrylic outer dome and smooth, white inner dome. Competitively priced option for situations not requiring certification. Unlike competitor commercial skylights prone to condensation, the VELUX Dynamic Dome utilizes a fail-safe water management system that evacuates condensation to the exterior of the skylight. A one-piece inner frame offers optimum durability, eliminating the need for corner welds that can leak. A 100 percent thermally broken frame creates an impenetrable water barrier that reduces condensation, protects interior surfaces from exterior temperatures, and secures it from air, water or bug impediments. Nesting, an inner frame and frame ledge create cost-effective, worry-free shipping and installation. Our products nest for easier, more cost-effective shipping, while dry installation eliminates the need for caulk or curb tape. 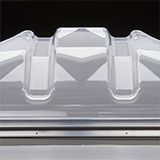 Plus, the VELUX Dynamic Dome design features an easy-to-handle frame ledge that reduces shipping damages, simplifies positioning and protects fasteners. Because we believe both sunlight and service should last, the VELUX Dynamic Dome comes with an industry-leading, 15-year warranty. 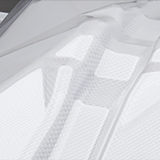 Applicable on most LuxGuard and LuxGuard Plus models, our warranty protects against breakage caused by hail up to 2”.